The Indiana Court of Appeals recently affirmed a $9 million verdict – including compensatory and punitive damages – in favor of a motorcycle accident victim who was severely injured after a collision with a pickup truck in Schererville, about 20 to 30 minutes south of Gary, Hammond, and Highland. In a unanimous decision, the court decided to affirm the damages award, which was $9.1 million in compensatory damages and $30,000 in punitive damages, for which the defendant pickup truck driver was 100 percent responsible. The defendant argued on appeal that the trial court abused its discretion in giving an erroneous jury instruction, but the appellate court found no evidence the jury instruction incorrectly stated the law, wasn’t supported by the evidence, or was covered in substance by other instructions. The court also could find no evidence the trial court abused its discretion in allowing the jury instruction, meaning the verdict and the damages award were affirmed. There were 223,733 car accidents in Indiana in all of 2016, according to the Indiana University Public Policy Institute, of which 769 were fatal and nearly 53,000 involved serious personal injuries. Northern Indiana auto accident lawyers know the immediate aftermath of a crash can be, if nothing else, a bit chaotic and confusing. Obviously, if you are seriously hurt, your No. 1 priority is seeking prompt medical attention. Even if you don’t feel you have suffered major trauma, bear in mind injuries can be exacerbated when they aren’t treated right away. Following these steps will help ensure you have evidence to substantiate your grounds for damages. A man who was rendered quadriplegic in an Indiana drunk driving accident several years ago was awarded $35 million by a jury in Marion County recently, according to The Indiana Lawyer. However, the most he would be able to collect, following a finding of 40 percent comparative fault on his part, is $21 million. This sounds like a lot, but it’s only going to be enough to cover his around-the-clock care provided by his parents, doctors, nurses, and home health providers. Furthermore, he still faces a battle over whether the auto insurer will even be compelled to pay, since the defendant insurer in a separate case argues the coverage did not extend to the plaintiff as a passenger of his own vehicle. The driver crashed before the men reached their destination, rendering the passenger/vehicle owner paralyzed from the neck down. Although the defendant driver had initially argued he was not behind the wheel, security footage at a facility near the crash site proved otherwise, since he was seen exiting the driver seat. Indiana hit-and-run accidents can prove challenging from a civil litigation standpoint for a myriad of reasons, sometimes even if the driver is found. Contacting an experienced Highland injury lawyer is imperative to maximizing the chances of accountability and compensation. A recent Indiana hit-and-run crash resulted in one woman losing her life and a man facing a felony charge. Investigators in Indianapolis told the Indy Star on early Sunday morning that a car accident occurred on 34th Street, where officers responded to the scene to discover a passenger car literally split in two. There was no one in it. But nearby, occupants of a Dodge Neon, a man and woman both age 22, were critically injured. The driver was treated at a local hospital, while the woman was pronounced dead at the scene. Officers discovered a man believed to be the driver a short time later. He is believed to have fled the scene on foot, and authorities suspect alcohol was a factor in the crash. He has been arrested on a charge of failure to stop at the scene of an accident involving death, a felony. With all of the anti-drunk driving campaigns, residents and visitors may be more likely to be involved in a pedestrian accident blamed on alcohol. While drunk driving campaigns are great in preventing drunk driving accidents, they only increase the risk of drunk walking accidents.According to Associated Press, there were more than 1,500 pedestrians who were legally drunk and the time of their fatal accident in 2011. This means that close to 40 percent of all of the pedestrians killed in 2011 were legally intoxicated. This is a new epidemic and we’re seeing an alarming increase in the risks. It’s a particularly important message as college classes resume. 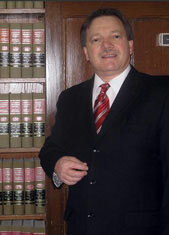 Our Highland accident lawyers understand that there were nearly 100 pedestrians killed in the state of Indiana in 2011. These accidents accounted for close to 10 percent of all the traffic fatalities recorded during the year. The National Highway Traffic Safety Administration (NHTSA) is making prevention a priority. The agency recently announced a new set of tools to help communities fight to problem, allocated roughly $2 million in pedestrian safety grants and launched a new one-stop shop website with resources for community leaders as well as safety tips for residents. “We all have a reason to support pedestrian safety, and now, everyone has new tools to help make a difference,” said U.S. Transportation Secretary Anthony Foxx. The problem here is that alcohol can negatively affect a pedestrian’ judgment too, just as it would a driver’s. It can lead them to make poor decisions while traveling, like trying to beat a vehicle heading down the road, crossing against a traffic light or even crossing in the wrong place. Any one of these wrong decisions (among a multitude of other wrong decisions) can land you in the hospital or leave you for dead. On average, a pedestrian was killed every two hours and injured every eight minutes in traffic accidents in the United States last year. But it’s not just the pedestrians that have officials worried. They’re also seeing an increase in the number of intoxicated bicyclists who are injured or killed. While you may think that walking home after a night of drinking is your safest bet, you might want to think again. Consider getting a cab or calling a friend or family member to come get you. Whatever you do, you want to stay away from moving traffic. It’s a move that could save your life. Thanks to the AAA DUI Justice Link, that connection can be made. On this site, officials with the NHTSA created a listing of sober/safe ride programs across the country. Save a number in your phone, and you’re sure to have a save and sober ride home every time.